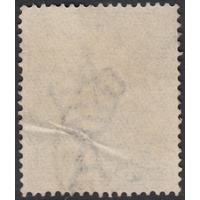 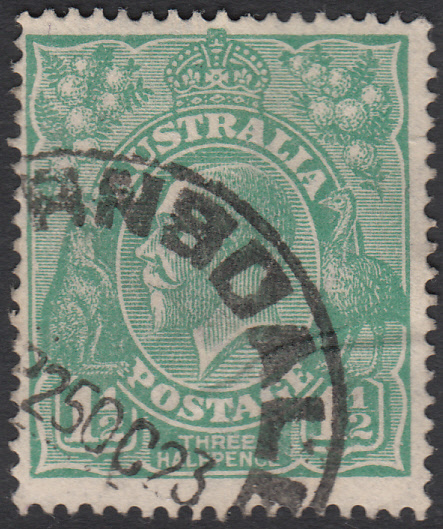 Australia KGV 1923, 1&1/2d Green, Single Watermark, variety 13L8, (weak shading lines behind 'Roo's ears, short left ends of 14th & 15th shading lines behind 'Roo's back) in Good Used condition with a crumple. 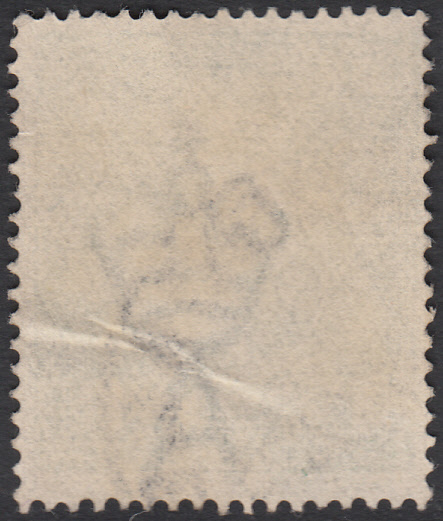 Centered slightly left with a circular datestamp cancellation (25th October 1923) obscuring the first indicator, but well clear of the second indicator, which is definitive. 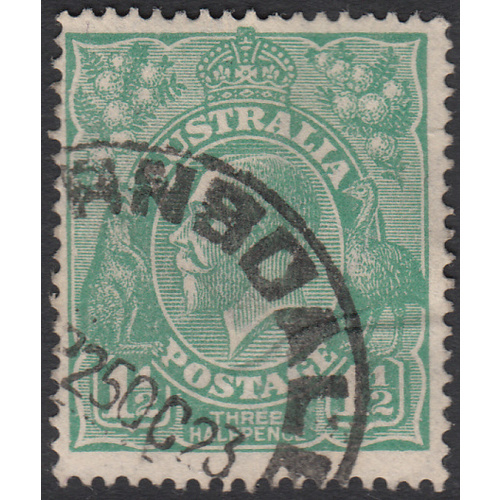 Useful dated example!